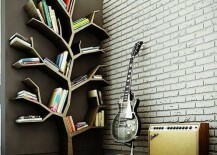 It’s been said that a room without books is like a body without a soul. 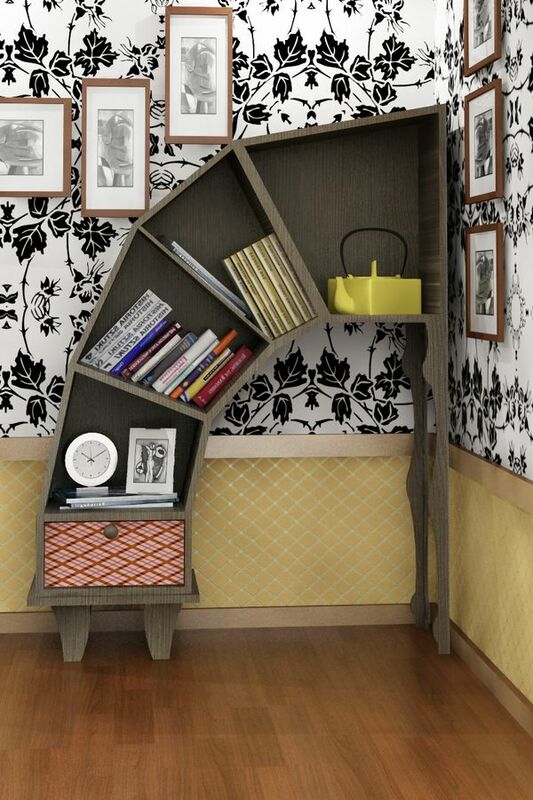 The only problem with having a lot of books is that they often tend to clutter up shelving units, coffee tables, empty spaces on the floor, and pretty much anything else with a flat surface. 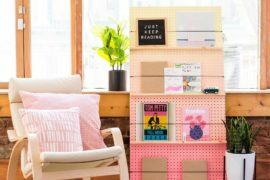 So unless you’ve got an enormous home or an entire room that you can dedicate to building your own library with walls and walls of bookshelves, the only other two options you have are to scrap the unwanted books, or get creative with storing them. 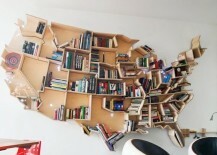 Since I’m a bit of a book hoarder myself, I think the latter is the best option! 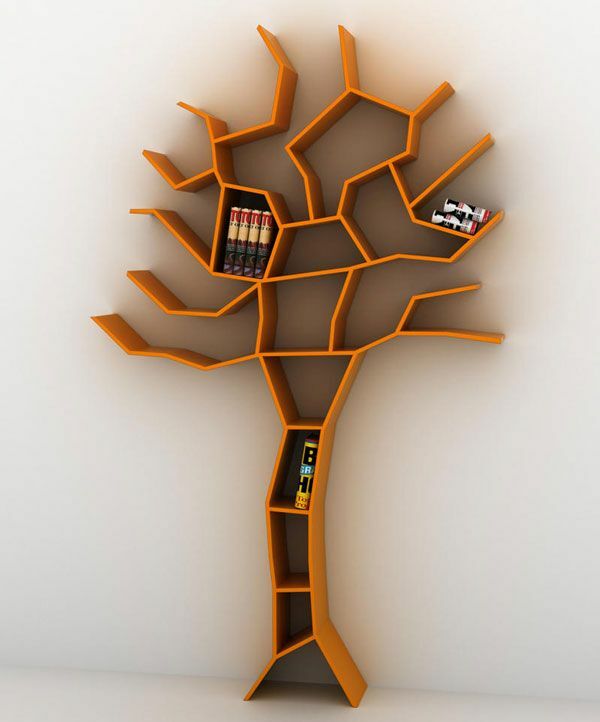 Standard bookcases and shelves are fine, but they don’t exactly scream creativity, even if you do a fantastic job with decorating them. 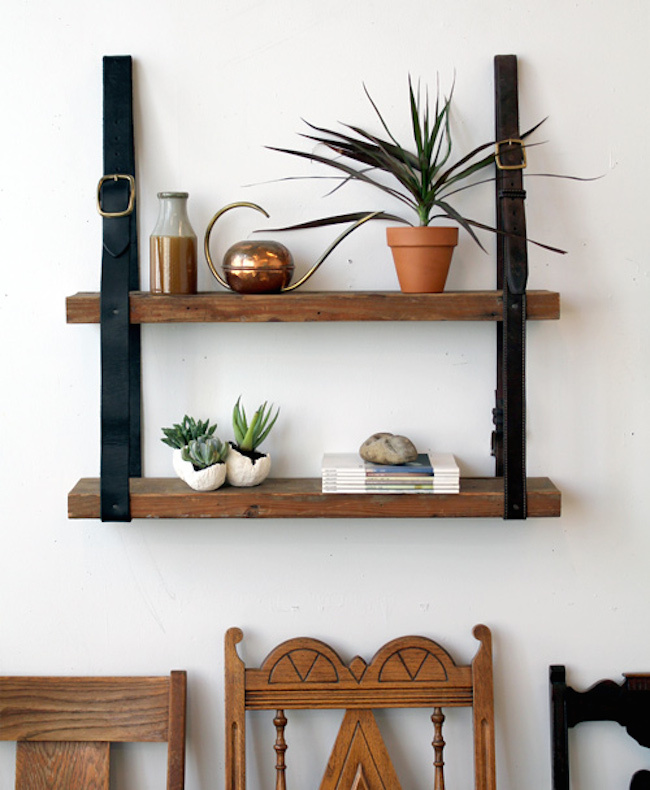 Chances are you might have some old furniture or household objects hanging around the garage or basement that you’ve been planning to get rid of. 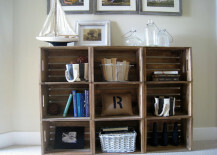 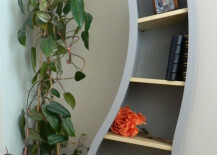 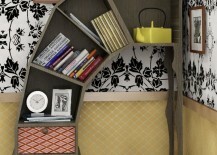 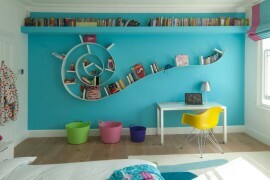 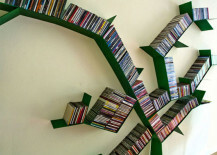 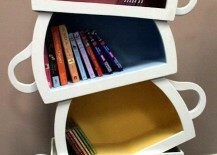 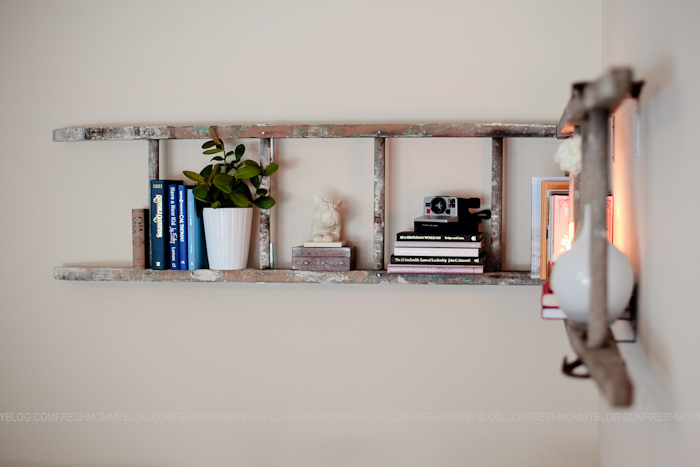 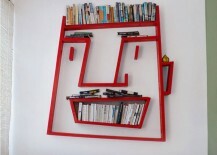 But before you do, consider how amazing it could look if you just used your imagination to repurpose it as a bookshelf! 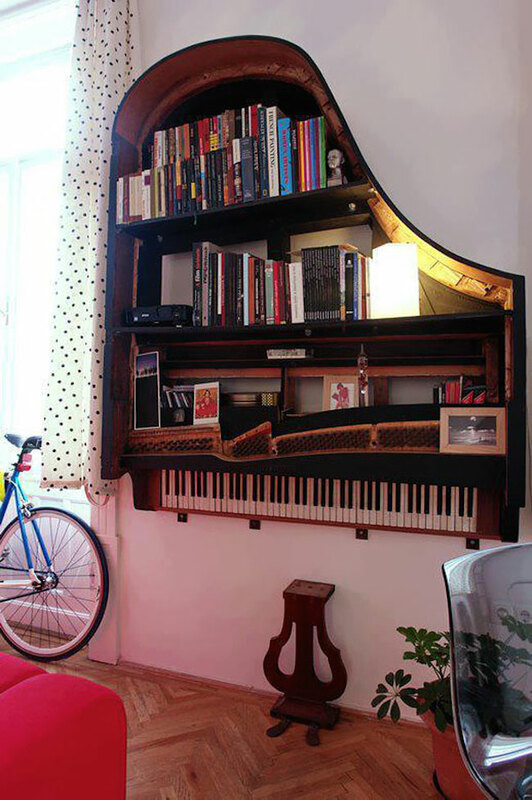 A piano bookshelf, for example?! 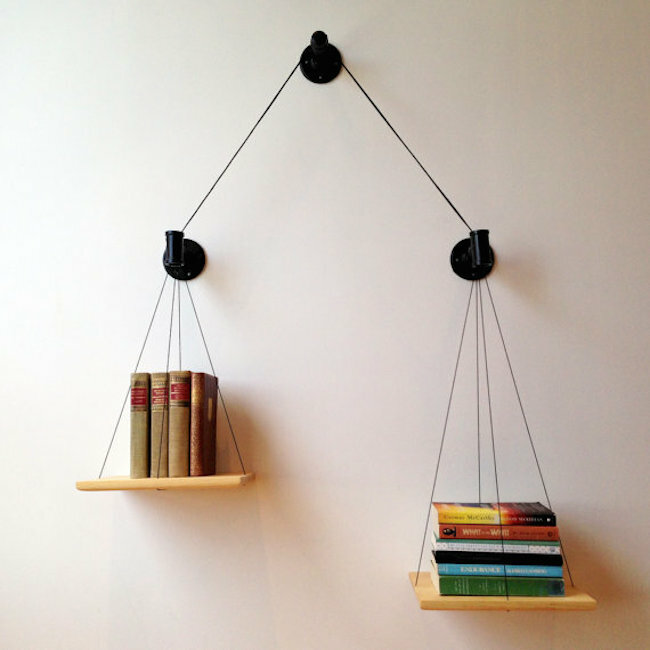 Even an old rickety ladder with paint stains looks almost brand new again when hung sideways against a wall with books and accessories placed on it. Crates can easily be stacked on top of each other to create the look of a typical shelving unit, only with larger and deeper shelves! 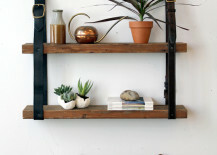 Any old leather belts or straps you have lying around can easily be used to hold up a couple of flat pieces of wood for a quick and stylish DIY wall shelf. 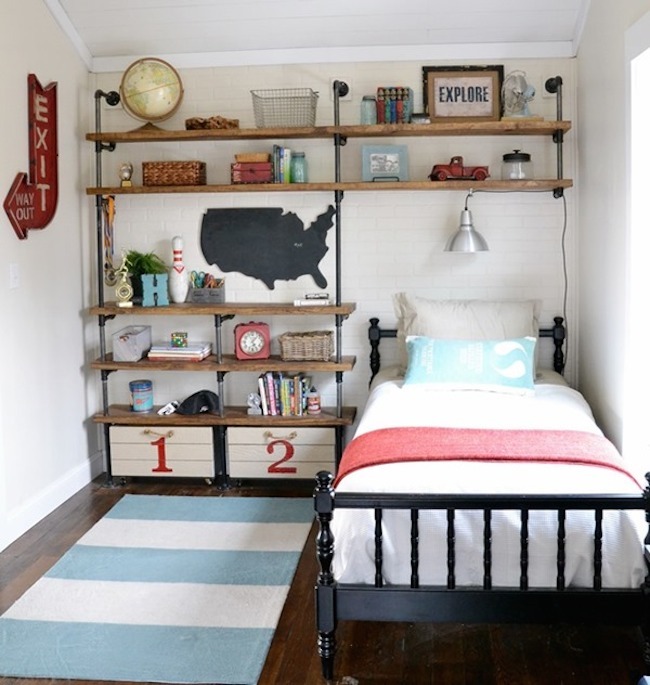 Industrial piping used to hold up shelves can create a cool, masculine look in any room — but especially in this little boy’s bedroom! 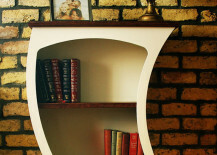 Most people imagine a bookshelf as a straight up and down piece of furniture with horizontal shelves, but these next five pieces will leave you wondering whether you’re looking at them through a warped mirror. 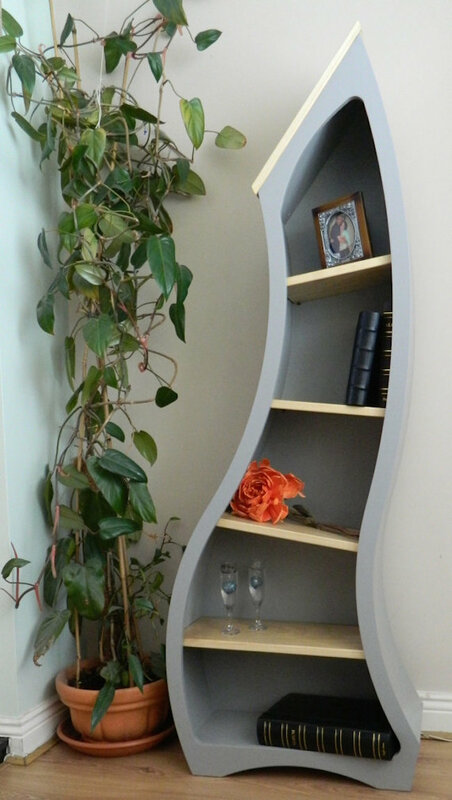 The first, second, and third bookshelves featured below can all be found on Etsy, so you can go ahead and order your own piece if you really like the extreme curved style that’s going on here. 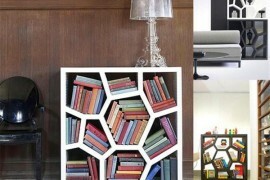 Have you ever seen crazier looking bookshelves than the ones below? 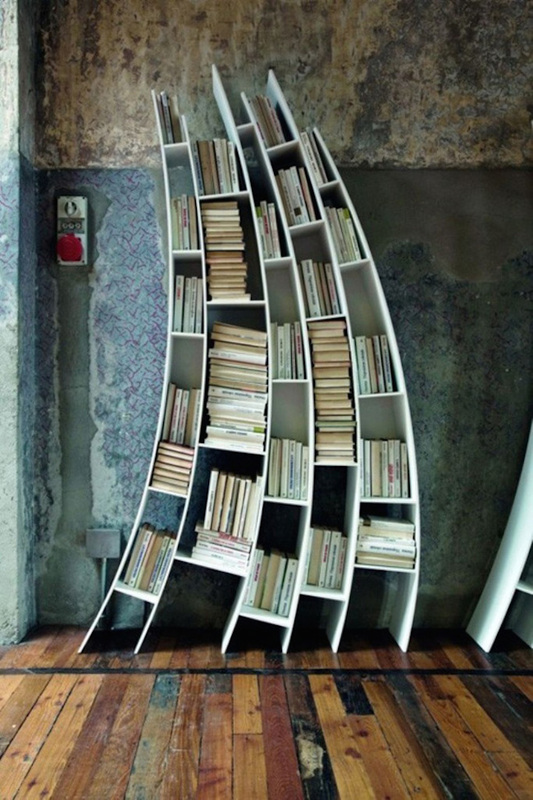 Stacks of leaning books on such curvy structures never looked more amazing! 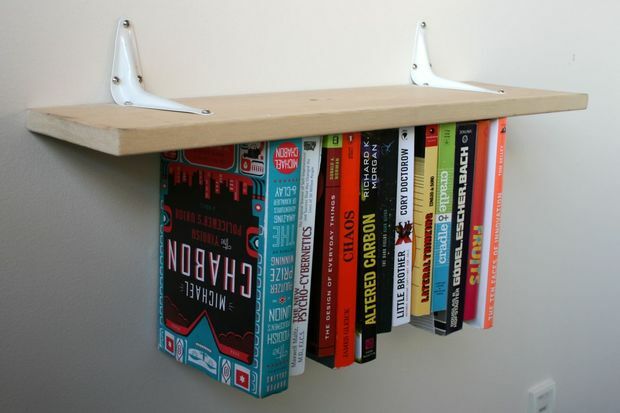 Are you in need of more shelf space for all those books you have lying around? 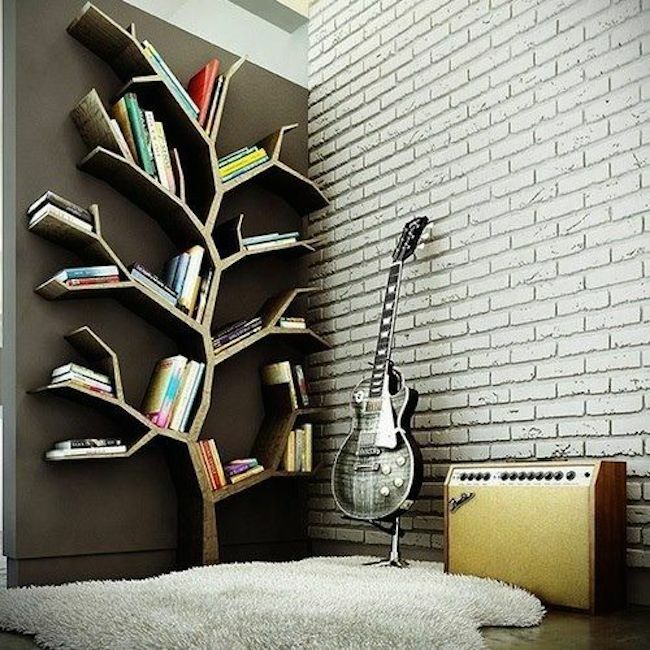 Maybe it’s time to think about getting a big tree to do the job. 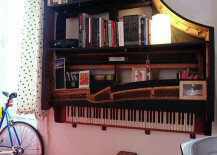 Not a real one, though. 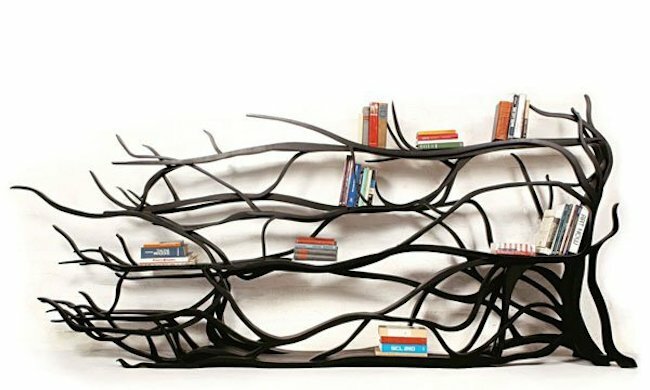 These tree-shaped bookshelves come with enough branches for all of your books to be stored securely and easily accessed whenever you want. 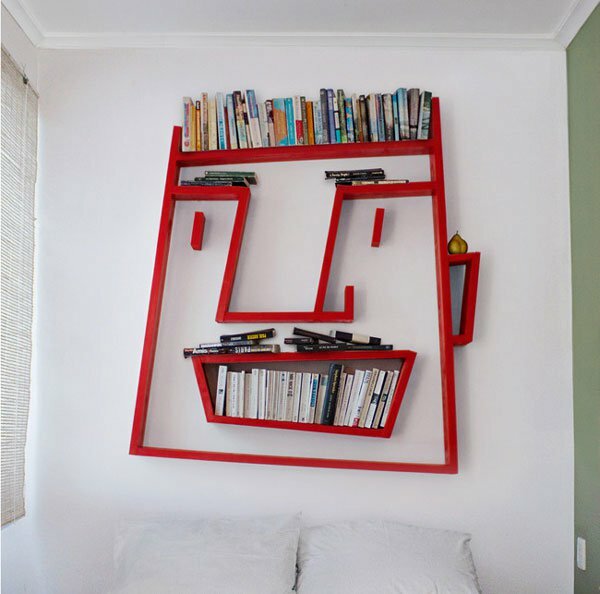 Separate furniture pieces that come in all sorts of wacky shapes are great, but if you’re looking to stick to something simpler, then you can still get creative with cool book storage solutions that can be attached to a wall. 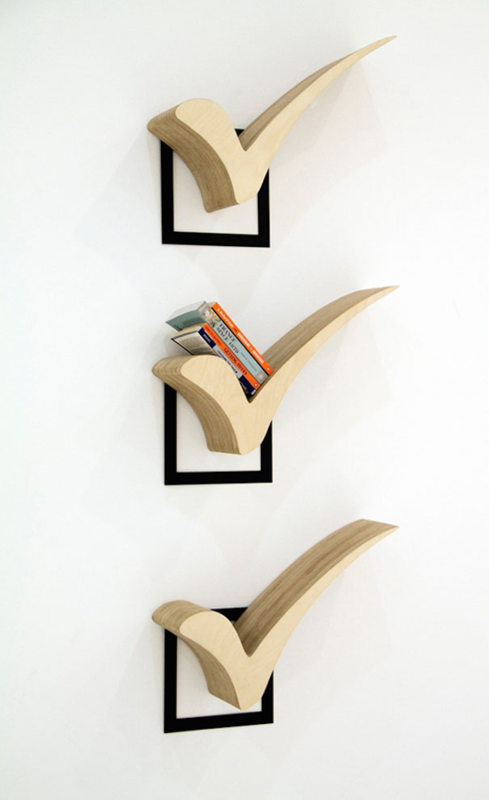 Try inverted shelves, floating shelves, a hanging shelves, or these minimal but fun checkmark-style shelves for stacking your favorite books. 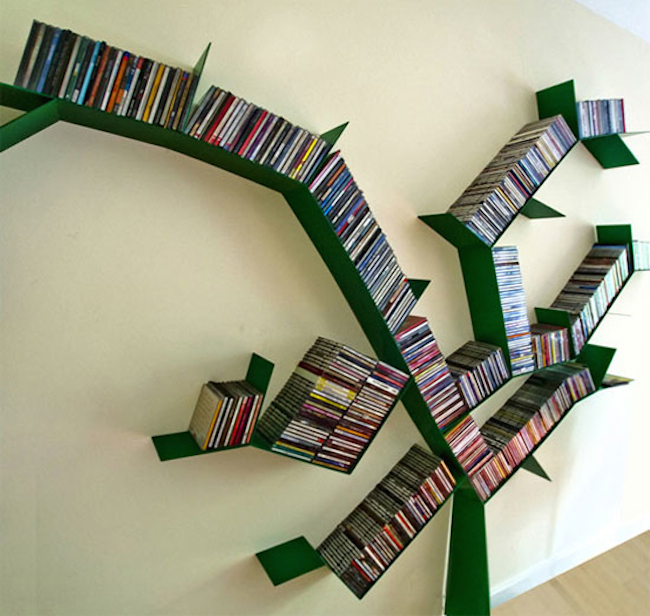 You’ve seen pianos, ladders, trees, checkmarks, and upside down units, all used in unique ways to store books. 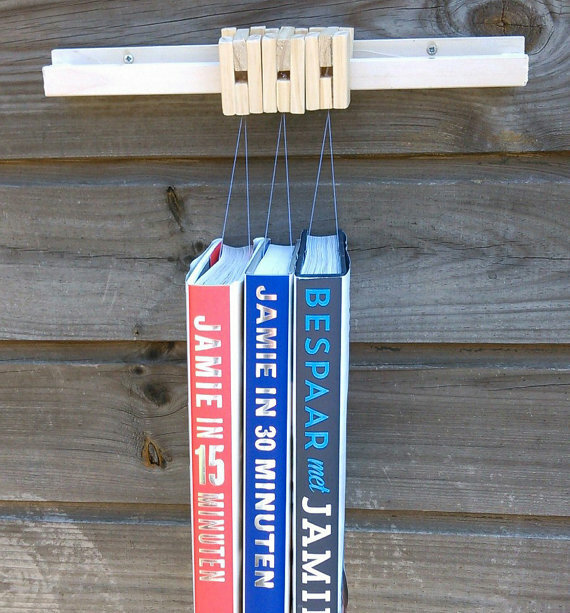 How much more creative can you get?! 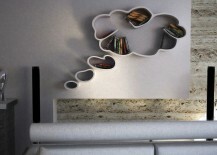 There’s no limit, really, and these last few examples really prove it. 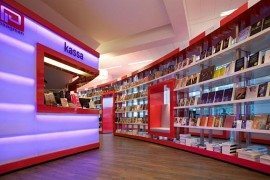 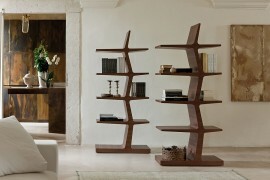 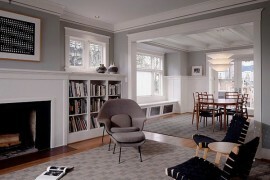 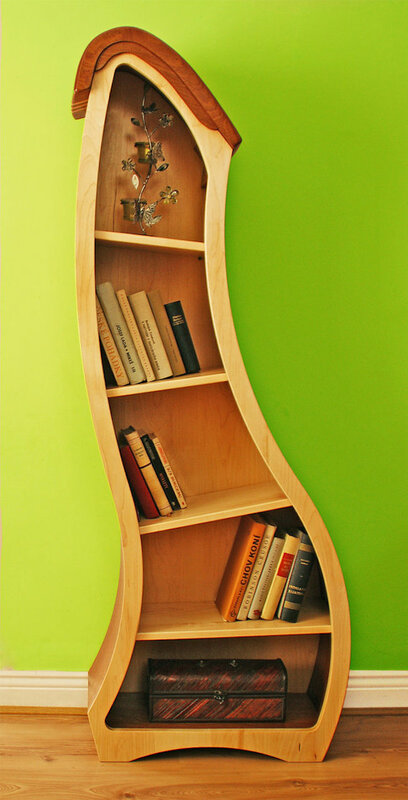 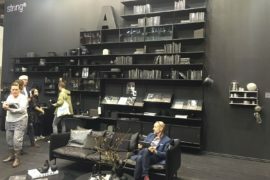 If it has a distinct shape and form to it, then it can be used as inspiration to make a bookshelf out of it. 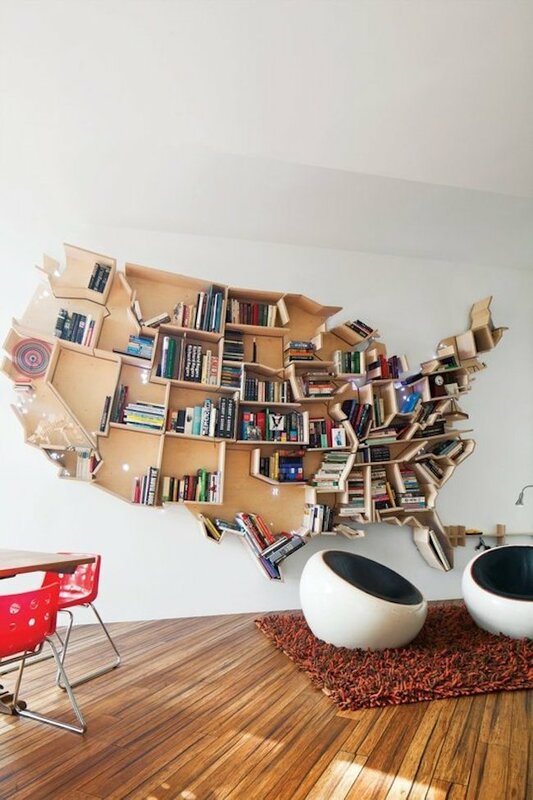 You can build yourself a stack of colorful teacups, a friendly face on the wall, a hollow thought bubble, or even a map of the United States — complete with convenient shelves of all different lengths, widths, depths, and angles to keep your books looking neat and tidy. 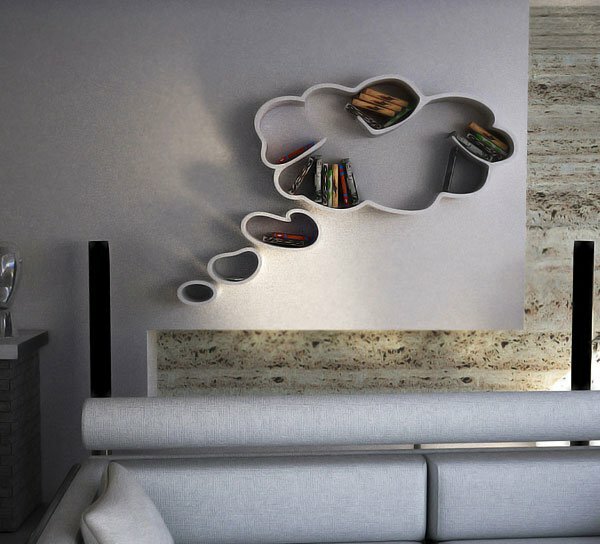 After catching a glimpse of all these cool and creative ways to store your books and accessories, you might be feeling pretty inspired! 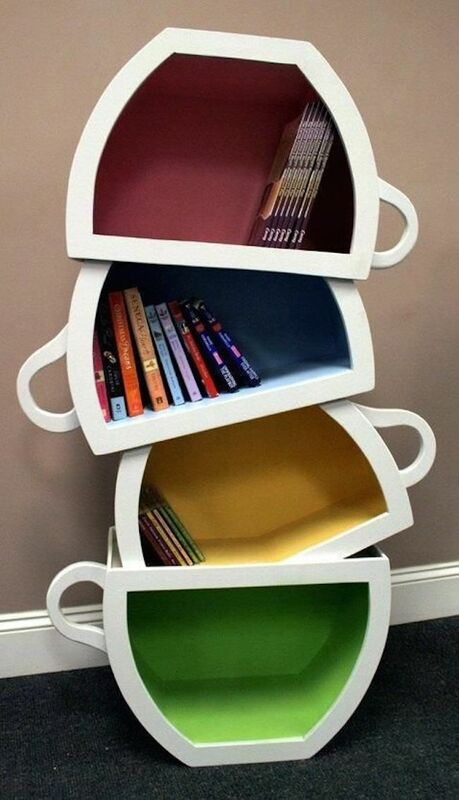 Perhaps your books could use a new home sometime soon.